Sixty-five percent of consumers expect their household to be better off financially in a year than it is now. Just one-third of respondents believe the U.S. will enter a recession in the next 18 months. Sixty-four percent of consumers believe now is a good time to buy a vehicle; just 12 percent believe it is not. A third of consumers said a recession wouldn’t change the vehicle they would buy; those that would change their purchase would opt for used, a less expensive brand or buy instead of lease. 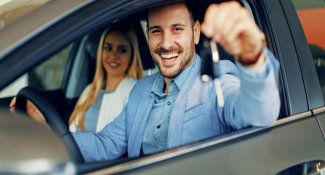 Despite signs that the next recession is looming right around the corner, a majority of car shoppers are optimistic about the health of the economy, a recent survey by Autolist.com has found. Sixty-five percent of respondents said they expected that their household would be better off financially in a year than it was currently; 16 percent said they expected to be worse off and 19 percent were unsure. Just one-third of respondents (33 percent) said they believed the U.S. economy would enter a recession in the next 18 months, Autolist found. Thirty-eight percent said they did not expect to enter a recession and 29 percent were unsure. Many CFOs, financial experts and the markets themselves are more pessimistic. 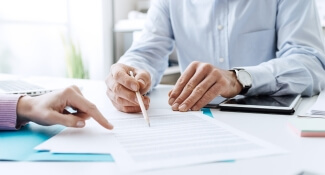 A Duke University survey released in early December found that 49 percent of CFOs expected a recession in the next 12 months; 82 percent of them said a recession was due by the end of 2020. This consumer confidence bodes well for the auto industry. New vehicle sales are expected to take only a slight dip in 2019 compared to 2018. Both WardsAuto and the National Automobile Dealers Association (NADA) are predicting 16.8 million new vehicle sales in 2019, a slight decline compared to the 17.3 million vehicles sold in 2018. Finally, Autolist asked car shoppers how or if they would change their next vehicle purchase, should the U.S. economy hit a recession. Nearly a third (32 percent) of consumers said it wouldn’t affect what vehicle they chose at all. 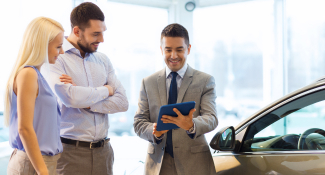 The most common behavior change was a switch from shopping for new vehicles to shopping used vehicles; then a move to a less-expensive brand and then a switch from leasing to buying.